It has been an exciting and anxious day today, waiting for results from my final ever university exams and finding out where I will be placed next year as an intern. It’s been a really long road with nine years of university and two degrees, but I can finally say I’ve made it. Officially I don’t get the doctor title until the end of the year but it feels pretty damn good just the same! 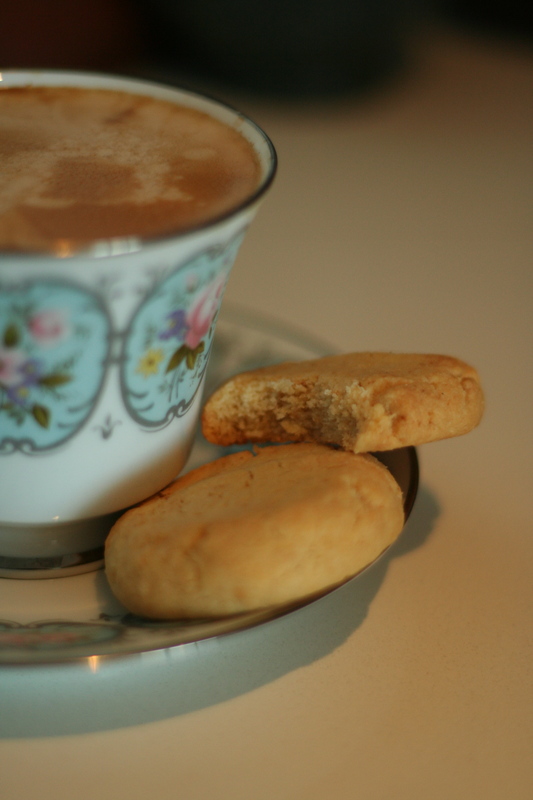 I found these cookies on David Lebovitz’s blog and immediately wanted to try them. 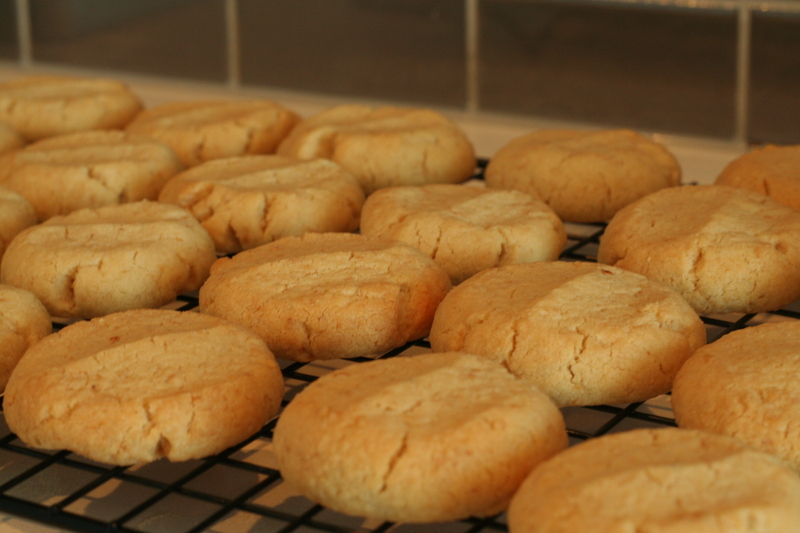 They make for the perfect cookie to have with a cup of tea or coffee and it’s hard to stop at just one. I made them early this morning, before I’d gotten any of the good news, quietly confident they would be celebration not commiseration cookies. 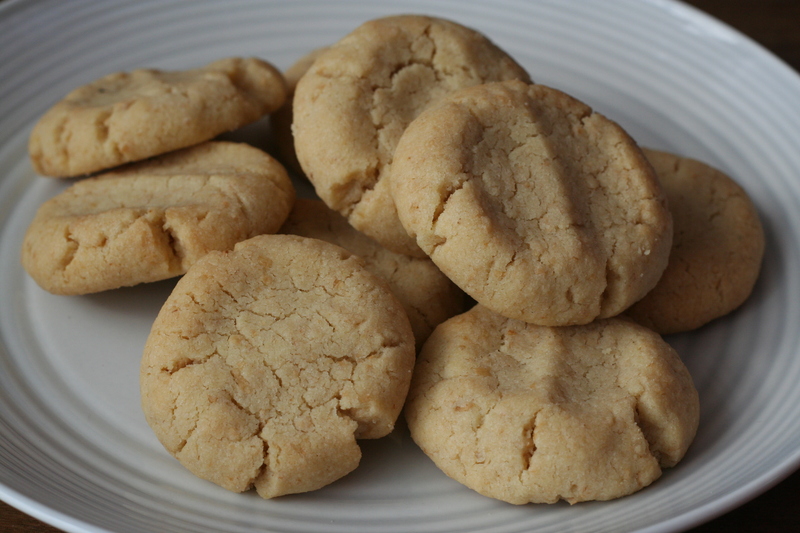 These cookies use tahini, which is a paste made from ground sesame seeds. Make sure you buy 100% ground sesame seeds as some varieties include sugar or other ingredients. The cookies come together really quickly and have a complex sweet taste that allows the sesame seeds and almonds to shine. 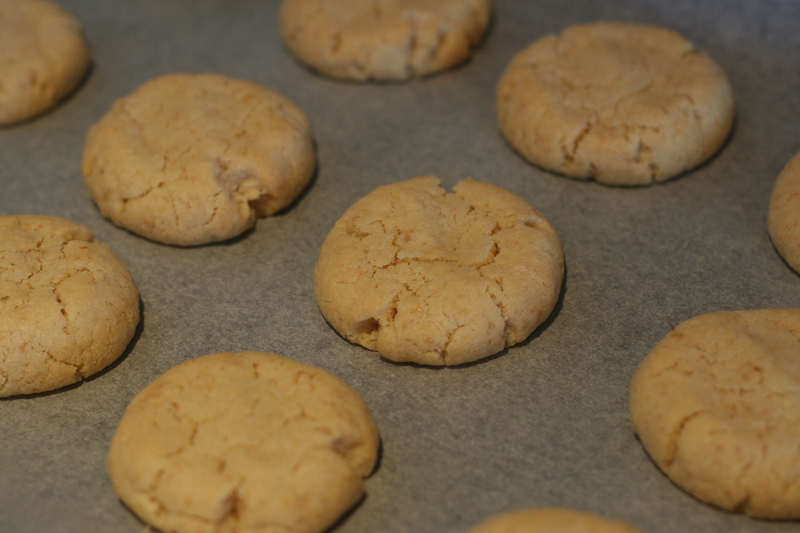 Next time I’d like to add some praline or similar to give an added crunch but they are lovely just as they are. 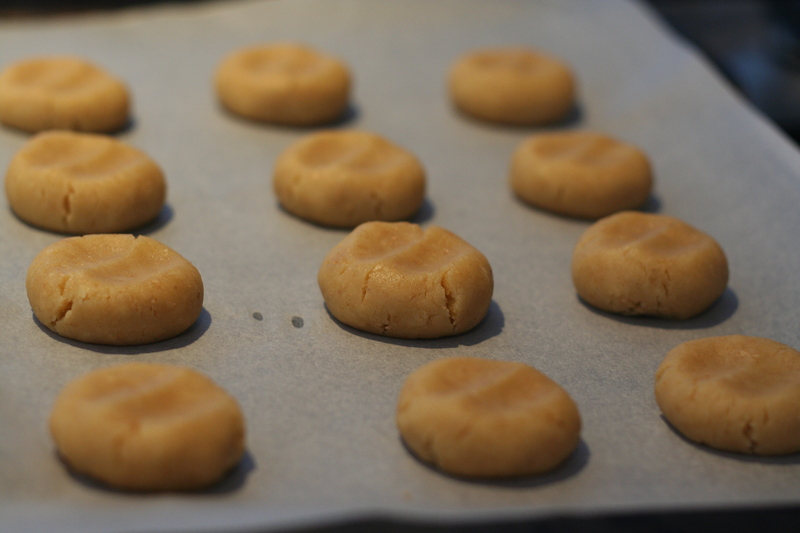 Preheat oven to 175º and prepare 2 baking trays with baking paper. If you have a food processor it’s just a matter of combining all the ingredients except the tahini and water and processing until you get a fine crumb. In my case I used my stand mixer until I got the same result, it wasn’t a problem, it’s just a longer process. 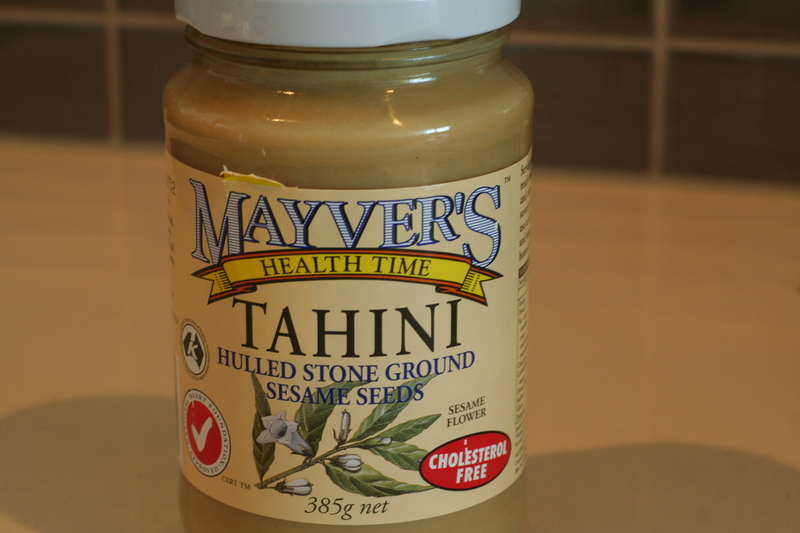 Add the water and the tahini and continue to mix until you get a smooth dough. Knead the dough on the counter a couple of times to bring it all together. 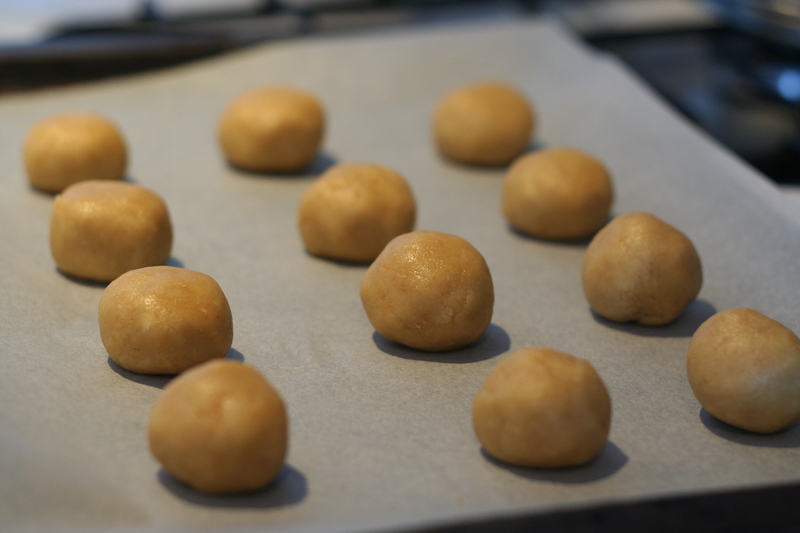 Create small balls of dough and space evenly on the baking trays. Flatten each of them slightly with your fingers. Bake for 12-14 minutes or until golden. Allow to cool on a baking rack.